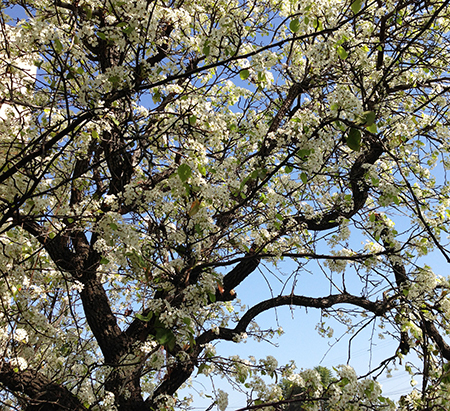 All the Callery Pear Trees are in bloom here in Southern California. The trees fill with white flowers before the leaves come back in early Spring. They don't produce pears, but small seed like fruit for the birds to eat. Commonly used in landscape design here, they are often planted in lines along the streets, creating a beautiful scene at this time of year.